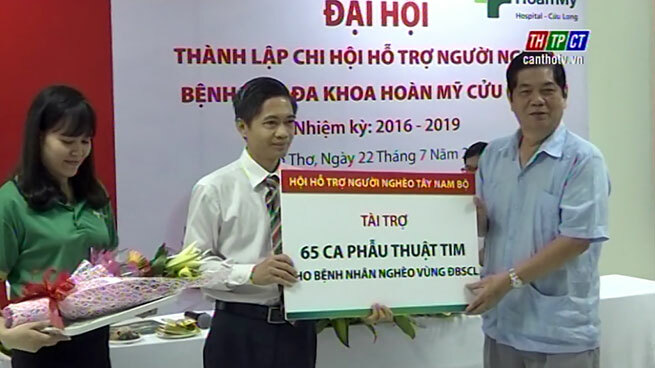 In the morning of July 22nd, Hoàn Mỹ Cửu Long general hospital organized the congress to found the assistance sub- association for poor people of Hoàn Mỹ Cửu Long hospital for 2016-2019 term under the decision of the assistance association for poor people. With the objectives of raising support from individuals and organizations at home and abroad to help poor patients treat their diseases, the congress passed orientations, tasks for the coming term. Also at the congress, 5 members were elected to the executive board of the congress, headed by Ms. Hồ Thị Thanh Mai. 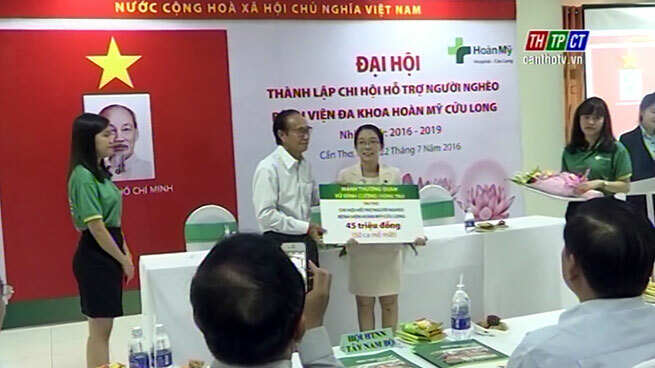 A supporter donated VND 45 million. On this occasion, the Southwestern assistance association for poor people supported VND 4 billion 500 million for 65 heart surgeries, raised from units, enterprises and kind- hearted people./.